Sunset Cottage offers weekly bookings starting on Friday and sometimes short breaks. A double bedroom and 1 twin bedroom, cot also available. 3rd bedroom available on request. Tariffs are for 2 bedrooms sleeping 4. A different tariff applies for 3 bedrooms sleeping 6. There are also short Breaks available. Pets welcome at Sunset Cottage for £20 per pet per week/per short break - please advise on booking if you are bringing a pet. 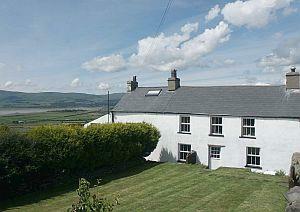 Very clean and good-sized cottage on a beatuiful location. The location is very hard to reach if you do not have a car. A 17thC fully restored farmhouse. 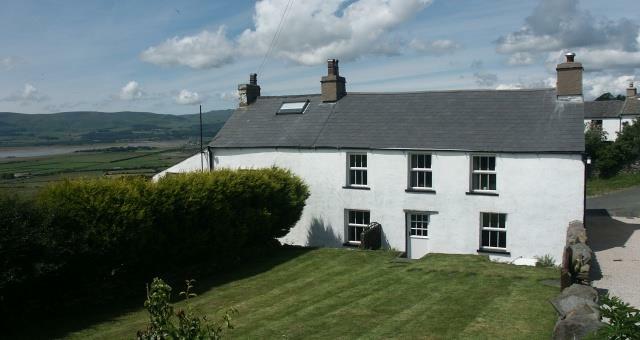 Spacious cottage with large garden and panoramic views of mountains and sea. Original features include inglenook fireplace, oak beams, flagstone floor and oak paneling. Cottage available from 15:00 on day of arrival, departure by 10:00.
Leisure centre with swimming pool at Dalton and Ulverston, 15 minutes. Golf course, Dalton zoo and horse riding all nearby. Close to bird reserves. Children welcome from any age. Leave M6 jct 36 take 1st exit onto A590/1 for 3.4 miles, then follow signs for A590 Barrow, continue along this road until Greenodd and take A5092. Follow A5092 until the Texaco garage, then turn left, follow road into Kirkby-in-Furness. Turn left at Post Office, Burlington Inn on right, follow lane through Beckside up to the top of the narrow lane; turn left at the very top towards Friars Ground. Sunset Cottage is the 1st large white house on the right No.1.